Broken windows are a safety hazard for sanitation workers, so they cannot be recycled. Find out how to dispose of broken glass. 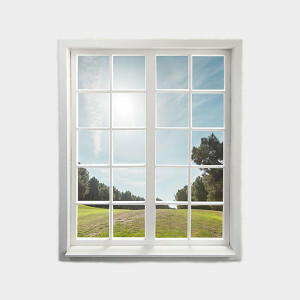 Windows cannot be recycled because they are too labor intense and dangerous to dismantle. Instead, wrap up the window in a blanket and take it to the landfill. Consider donating undamaged windows to Building REsources, who resells reusable, recycled and remanufactured building and landscape materials. They are a not for profit organization based in San Francisco. Find out more. Habitat for Humanity is a non-profit that accepts building materials, which they use to construct affordable housing for low-income families. They will take whole windows and sliding glass doors if they are undamaged at their REstore locations. Find a REstore nearest you.